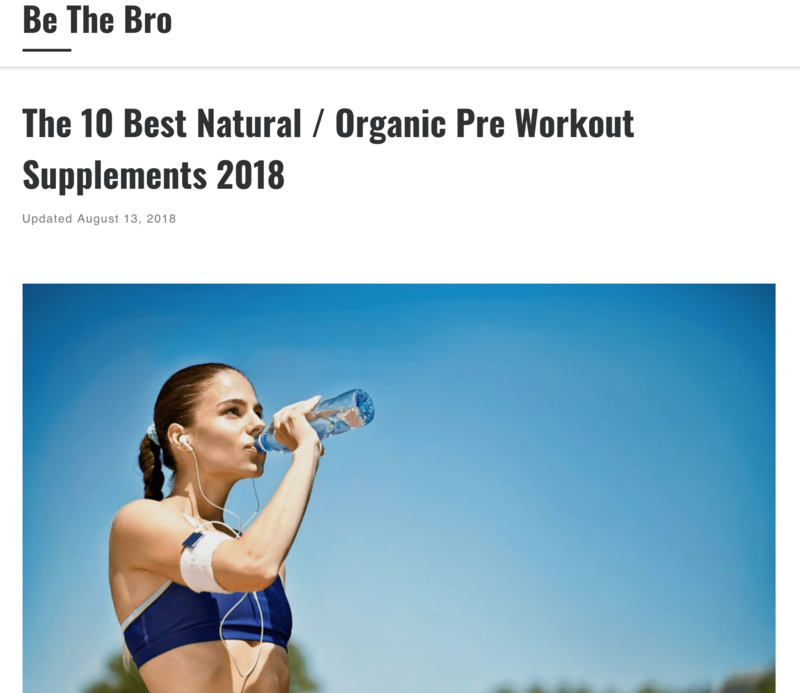 A big thanks to Be The Bro for putting our pre-workout, POW in their updated article on, ‘The 10 Best Natural / Organic Pre Workout Supplements:’. Be The Bro is dedicated to bringing our readers up-to-date, easy to read and informative health and fitness related tips, guides, and product reviews. There are hundreds and thousands of pre-workouts out in the market, which always leaves the consumer scratching their head as to which product is best for them. The first step to this problem is figuring out what matters the most to you–what are your priorities in a supplement. If it is important to you for the supplement to be natural, then this article is a great starting point to narrow down some choices. If your priorities are joint mobility and comfort, then our product could stand out from the others as being a better-suited product for you. All in all, finding a pre-workout doesn’t have to be overwhelming and confusing, finding out what is important to you first can quickly narrow down a list that seems like it never ends.